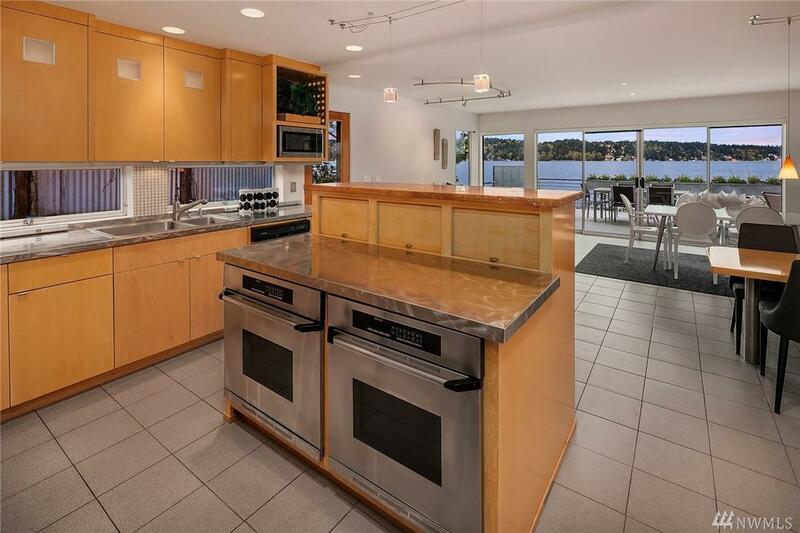 Matthews Beach waterfront with panoramic views of Lake Washington & Mt. Rainier. 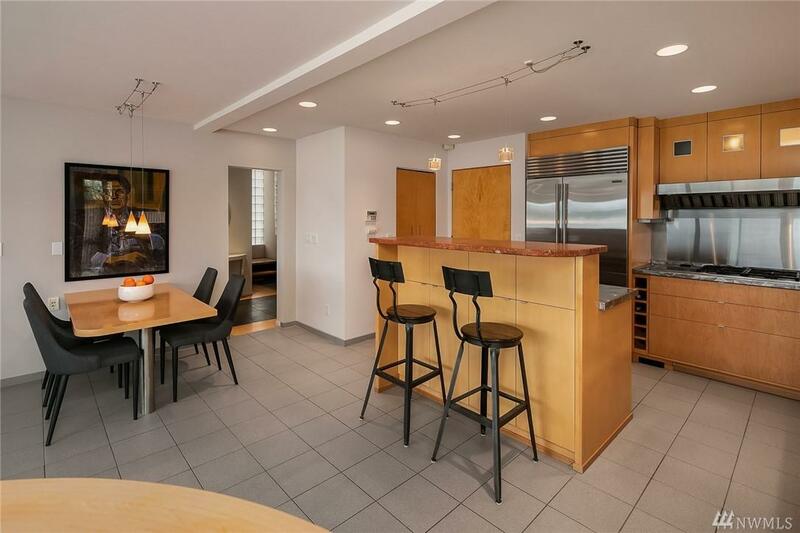 Main floor offers expansive windowed wall with doors opening to large deck. Kitchen, living room, sitting nook, & powder room complete the main floor. 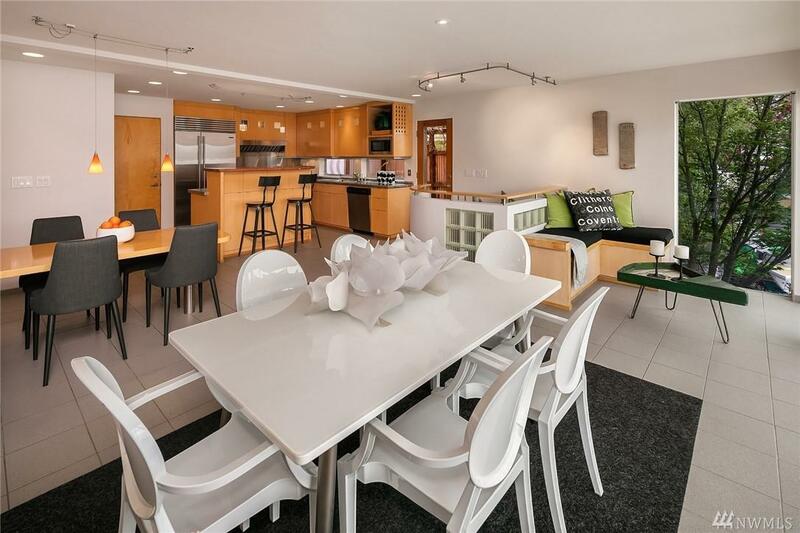 Upstairs, master suite & 2 bedrooms with breathtaking views plus 4th bedroom. Top floor can serve as separate dwelling. Sauna, bath, beach access from basement. 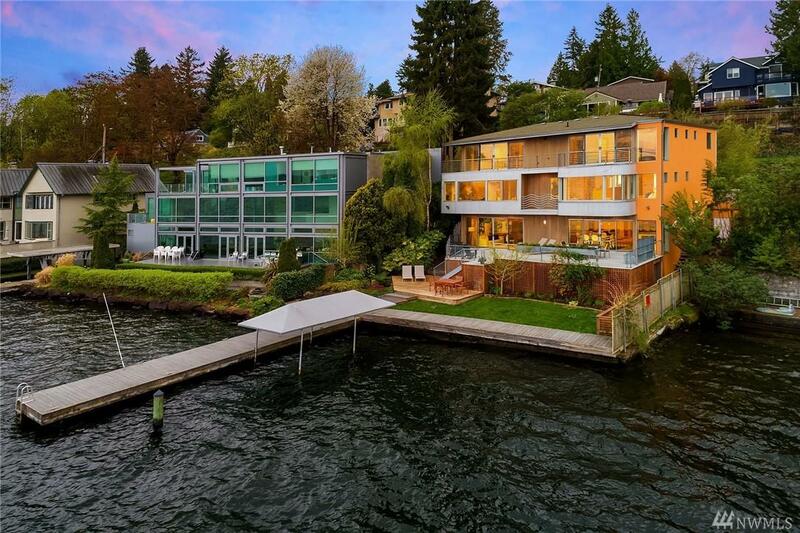 Spacious deck, private dock with boat lift, 55 feet of waterfront, and just off the Burke Gilman Trail.